Never risk your life for a fish. Never fish in dangerous conditions. Respect our waterways. Handle fish with care. Use adequate release methods. We strongly encourage catch and release fishing, however it is not compulsory. You must register before competing. Start competing anytime during the month. Fish must be caught in Australian publicly accessible waters (excludes fish farms, private dams, etc) from land or boat by hand-held rod and line only. Fish must exceed relevant state minimum size limits. Photos must be taken at the time and place of capture and fish must be alive in both photos. 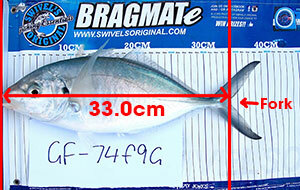 Fish must be measured on an Australian recognised brag mat, rounding down to the nearest centimeter. 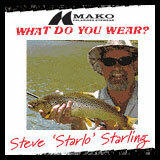 All brag mats must be the type with a ‘stopper’ at 0cm and the fish’s head must be up against the stopper. Sharks may be measure with a tape measure. Brag mats must be flat and straight with at least one edge showing. If both edges are hidden under the fish we may not accept your entry. Measure fish and sharks from the nose to the fork (or central point) in the tail, measure squid tube length, measure crabs shell width and measure lobsters carapace length (refer to illustrations below). Tournament codes must be displayed in ‘fish on brag mat’ photos. Photos must be taken square-on. Members may request to see the brag mat pics of any entry up until 24hrs after the tournament has ended. Enter as many fish as you like. Tournament membership covers entry for State and Australia-wide tournaments. 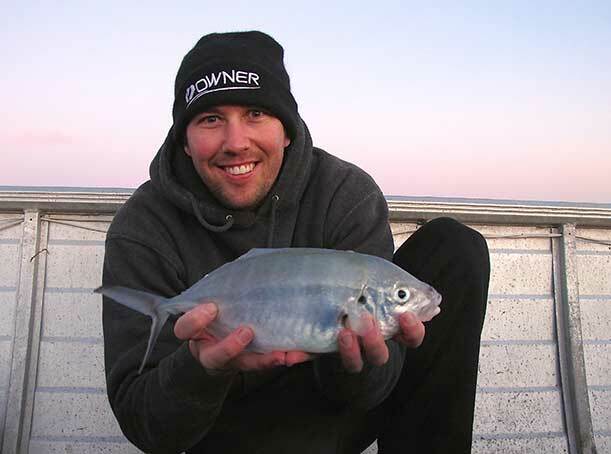 In the Australia-wide tournament anglers can submit fish caught from any state in the country. In the State-wide tournaments anglers must submit fish in respective state tournaments where fish are caught geographically. Scroll down for more info under the heading ‘Fish’. Anglers may enter a fish in the State tournament where it was caught geographically as well as the Australia-wide tournament (provided it is listed on both species lists). 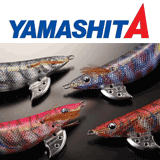 Enter your fish on the Submit Catch page. Winners can only win 1 prize per species per month. If for example you win Bream in the National tournament and State tournament then your State prize will be awarded to the State runner up. If there is no runner up then you may have the prize. Kids may win one other prize additional to the Kids prize for the same species. Kids Comp: For kids 15yrs and under. There is no minimum age, however all children under the age of 13 must have parent supervision when using the website and when competing in the tournaments. Kids need to cast the line and wind in the fish themselves. If it’s a big fish the parent can help support the rod only. Entrants must be over 18 years of age to purchase membership. 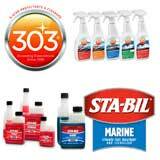 Refer to the Prizes page for a list of eligible species and prizes. eFish entries may only be made in the Intro State tournament of your Billing Address. All other State entries must be made in the state that your fish was caught. Instructions on how to enter, prize details and other information contained below form part of the Australian Fishing Tournament rules. By participating in the tournaments you agree to be bound by these terms and conditions. Unless otherwise stated the term ‘Fish’ refers to fish, squid, crabs and lobsters. The term ‘Squid’ refers to squid only, the term ‘Crab’ refers to crabs only and the term ‘Lobster’ refers to lobsters only. Tournament entry is open to Australia residents only. Winners under the age of 18 must be represented by a parent or guardian for the purposes of claiming and collecting their prize. Kids 15yrs and under can compete in the Kids Fishing Tournament as well as the State and National Tournaments. Kids may compete in the kids comp up until and excluding the month they turn 16. For example, if they turn 16 in December they can only compete in the kids comp until November 30th. There is no minimum age but they need to cast the line and wind in the fish themselves. If it’s a big fish the parent can help support the weight of the rod only but the kids need to be doing most the work. All children under the age of 13 must have parent supervision when using the website and when fishing in the competition. 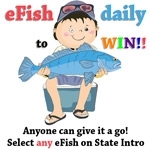 Owners, employees or administrators of GetFishing.com.au are not eligible for prizes. Tournaments are held monthly. Participants can compete at any time during the current month. Tournaments entries are to be submitted by 11.59pm Australian Western Standard Time (AWST) on the last day of the month. Only entries received by this time will be valid. Although GetFishing.com.au strongly encourages catch and release this is not a catch and release only tournament since there is no way of us knowing whether the fish was returned to the water. Therefore, fish the way you prefer but when competing please consider releasing as many as you can. GetFishing.com.au applauds those who practice catch and release when competing in our tournaments. Acceptance of a person as a tournament member is at the absolute discretion of GetFishing.com.au. GetFishing.com.au reserves the right to expel, suspend for a specific period or refuse to renew the membership of, any tournament member whose conduct is or may, in GetFishing.com.au’s reasonable opinion, be injurious to the character of the Tournaments, or which amounts to a breach of the tournament rules or website terms and conditions, or where such expulsion is otherwise in the interests of the other members. Any tournament members so expelled will forthwith cease to be members and will not be entitled to any refund for any period during which their membership is suspended. 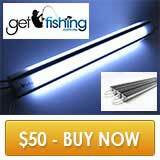 GetFishing.com.au reserves the right to vary and revoke the tournament rules and website terms and conditions as it sees necessary or desirable for the regulation of the tournaments and the service of its tournament members. Any such changes will be notified to members and, until revoked, are and will be binding for tournament members. The purpose of tournament codes is to confirm that your fish was caught during the tournament period. Tournament members can log in and access their codes via the Tournament Codes page at any time during the month. 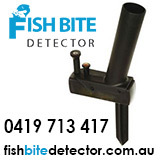 The codes are to be written and placed next to your fish when photographing your catch. 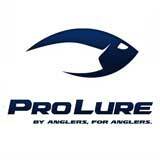 Each tournament member’s code is unique and is not to be used by any other angler. Each participant must have their own membership/user account. Memberships cannot be shared by multiple competitors. When will you receive your code? If you choose to join a tournament that is already underway, you will be able to view your code on the Tournament Codes page once your order is processed. Order processing may take several hours. If you choose to join now for a tournament that hasn’t started yet, you will be able to view your code on the Tournament Codes page at 12:01am AWST on the first day of your chosen start month. A new code will be automatically generated each month for the duration of your membership. 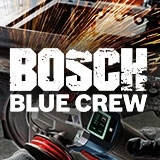 Make sure you log in at the start of each month to view your new code. Codes must be displayed clearly. Display your code above or below the fish when photographing your catch on the brag mat. We recommend people laminate a piece of white paper/card and keep it handy in their tackle bag with a whiteboard marker. We also recommend saving your monthly code in your phone for easy access, particularly useful when there is no internet access. Fish are judged on fork length, not weight. Upgrades must be at least 1cm longer than the current leader. In the event of a tie, the fish entered first wins. You may enter as many times as you like. You may not enter the same fish more than once. 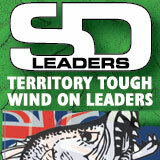 For the National and Kids Tournaments anglers can submit fish caught from anywhere in Australian waters. 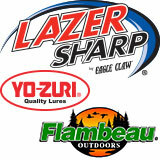 For State Tournaments anglers must submit fish in the respective state tournament where it was caught geographically. If the fish was caught in the Murray River on the border of Victoria and New South Wales the fish should be entered into the NSW tournament. 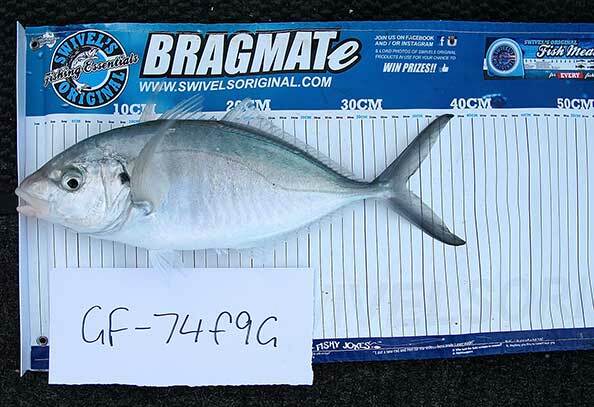 Anglers may enter a fish in the State Tournament where it was caught geographically as well as the Australia-wide tournament (provided it is listed on both species lists), however you may only win one prize per species per month. If you end up winning two prizes for the one species (i.e. longest bream in NSW and National tournament) you choose which of the two prizes you want and the runner up of the prize you chose not to take will receive the prize. 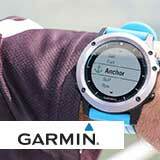 Enter your fish on the Submit Catch page. Fish4Cash leaders are not affected by this rule. You may enter fish from as many species categories as you like, see the Leaderboard for a list of species and prizes. Photos must be taken at the time and place of capture and fish must be alive in both entry photos. Entries of fish that are dead or heavily covered in blood will be disqualified. Fish must be caught by the person entering the photo. Entering a fish caught by someone else is cheating. Participants caught cheating in any matter will be disqualified and banned from the site without refund and any outstanding prizes will not be awarded. Crabs may be caught using traps/pots and lobsters may be caught using pots or by diving. Fish caught in fish farms, hatchery waters, aquaculture pens, “Fish & Pay” lakes or private ponds/dams may not be entered. Entries of fish caught from these waters will be disqualified. 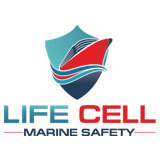 Fish caught from a commercial fishing vessel or while commercial fishing or are not accepted and will be disqualified. Fish caught by tournament members who are paying customers aboard fishing charters are accepted. Fishing charter owners or staff may not compete when at work. Fish showing signs of stretching, mutilation or improper handling will be disqualified. Fish must exceed relevant state minimum size limits. Entries of undersized fish will be disqualified. Anglers must abide by current fisheries rules and regulations. If a fish is caught during a closed season for that particular species, or if the entry does not abide by fisheries rules for any other reason the fish cannot be entered. Fish that exceed relevant state maximum size limits can be entered under the provision that the fish is immediately returned to the water in a healthy state once photographs are taken. Eligible species are any species which are listed on the Prizes page for each month. The results aren’t final until we verify all winning entries, 24hrs after the tournament ends. Regardless of whether there is a larger fish than yours on the leaderboard you should still enter your catch in case there is a disqualification. Members may request to see the brag mat pics of any entry up until 24hrs after the tournament has ended. 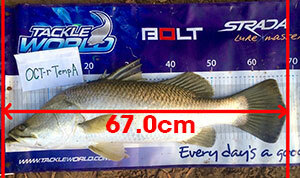 Fish must be measured and photographed on any Australian recognised brag mat. It is not compulsory to use the brag mat we supply. All brag mats must be the type with a ‘stopper’ at 0cm and the fish’s head must be up against the stopper. Measuring fish on a brag mat protects the fish against losing its protective coating in the event of catch and release. Brag mats must be in 1cm increments. Entries of fish against anything other than a brag mat, i.e. 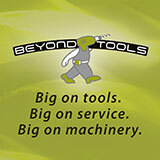 rulers, stickers, tape measures, etc. will be disqualified. Brag mats must be laid flat and straight with at least one edge of increments showing. If both edges are hidden under the fish we may not be able to accept your entry. Measure fish fork length from the fish’s mouth to the inner fork of the tail (where applicable). For species without a forked tail measure to the central tip of the tail, see examples below. The fish’s tail must be presented open with a natural spread, any attempt to press the tail fins together to increase perceived fork length, whether deliberate or not, will result in disqualification. Any obvious and excessive lip stretching will also result in disqualification. For species with forked tails measure to the inner fork. For species without forked tails measure to the central tip. Present the fish’s tail open with a natural spread. Do not press the tail fins together. 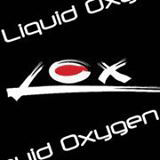 Measure squid tube length from the most backward point of the tube to the most forward tip of the tube. The most backward point of the tube must be flush with the start of the brag mat (0.0cm). Measure sharks fork length from the shark’s nose to the inner fork of the lower lobe, see example below. You may use a tape measure for sharks longer than a brag mat. Measure sharks fork length. Tape measure is acceptable for Sharks. Measure crab width from point to point of the widest part of the shell. 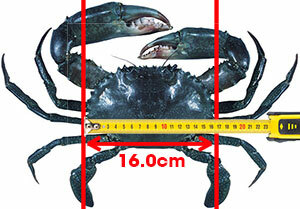 Crabs must be measured with tape measures only as shown in the diagram below. Crabs do not need to be measured on a brag mat. Measure lobster carapace length along a straight line from tip of the forward most horn/s to centre of the posterior margin of the carapace, ignoring any attached hairs. 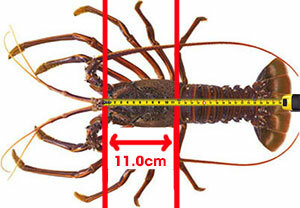 Lobsters must be measured with tape measures only as shown in the diagram below. Lobsters do not need to be measured on a brag mat. All brag mats must be the type with a ‘stopper’ at 0cm and the fish’s head must be up against the stopper. 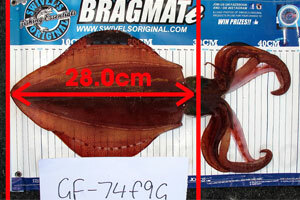 Fish, squid, crabs and lobsters are to be measured in increments of 1.0cm, rounding down to the nearest 1.0cm. 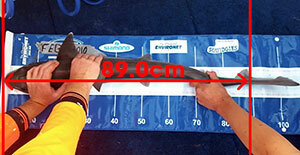 For example, if your fish measures 50.9cm then submit your entry as 50.0cm. 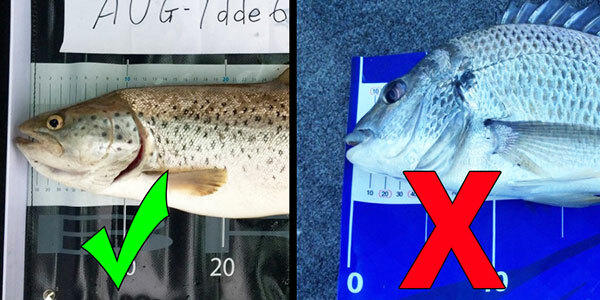 What to do in the event of your fish measuring longer than the brag mat: Measure any section of the fish that exceeds the length of the brag mat and add that to the length of the brag mat. Record the total measurement when submitting your entry. The entire fish must be viewable in the photograph. From the photograph provided the judges will digitally use your brag mat as a scale to confirm the fish’s true length. Any attempt of exaggeration will be automatically disqualified. Entries of fish caught displaying your previous monthly code or another person’s code will be disqualified. 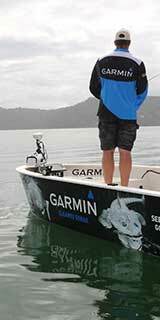 GetFishing.com.au recommends the use of digital cameras of at least 4 megapixels. Photographs taken using smartphones will be accepted, however you run the risk of poor quality photographs (particularly during low light), increasing your chances of disqualification. You are required to take 2 photographs of your catch. Take one photo of your catch on a brag mat and another photo of you holding your catch. Photograph 1: Fish on brag mat. Photos must be clear and in focus with measurement markings on the mat clearly visible and legible. Photos must be taken square-on with the whole fish in frame. Your tournament code must be displayed above or below the fish. All photos must be clear and legible. As of 1st October 2015 all brag mats must be the type with a ‘stopper’ at 0cm and the fish’s head must be up against the stopper. Photograph 2: You holding fish. The photograph must be clear and in focus. The angler must hold the same fish as shown in Photograph 1. The angler must hold the fish close to their body. The anglers face and fish must be in frame. Support your fish correctly with one hand under the head and the other under its belly. Don’t hold your fish up by the gills or with a gaff sticking out of it, that’s old school. Get Fishing reserves the right to use all submitted photographs in our tournament gallery and for Get Fishing and affiliated sponsor’s promotional purposes. Log in and head to the Submit Catch page. You must be a tournament member and logged in to access this page. Tournament month will automatically default to the current month. Enter your fish’s length using the sliding bar, rounding down to the nearest 1.0cm. For example, if your fish measures 50.9cm then enter your fish as 50.0cm. Enter Australia-wide tournament: If your fish is on the Australia-wide list select the fish species from the drop-down menu. If not, leave this field blank. Enter State-wide tournament: Select the state where the fish was caught and the species from the two drop-down menus. If your fish is not in your state list leave these fields blank. Check that all details are correct then press the ‘SUBMIT ENTRY’ button. View the Gallery to confirm your entry went through then view the Leaderboard to see if you are the new leader. All entries must be submitted prior to midnight AWST on the last day of the month. If you haven’t paid to participate you will not be able to view the Submit Catch page and will be redirected to the Compete Now page. In some instances participants may be required to validate their entry by providing additional information to Get Fishing upon request. Failure to provide information within 48 hours will result in disqualification of the entry. 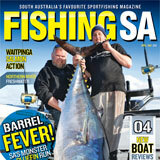 Upon completion of the tournament GetFishing.com.au will validate all winning entries/photographs within 24 hours. After this time results are final. Prizes are not exchangeable for cash or any other prize. Any lost or unclaimed prizes that have are brought to our attention greater than 6 months since your win will not be awarded. If brought to our attention within 6 months win we will endeavor to track down your prize or re-issue you a new one. This particularly applies to vouchers – it is your responsibility to use them or save them in a secure place. We recommend you use them asap. If you lose your voucher after 6 months our sponsors may not be able to re-issue a new one. Winners are required to provide GetFishing.com.au with their postal details within 30 days of the end of tournament. Failure to do so within 30 days will result in relinquishment of their prize. 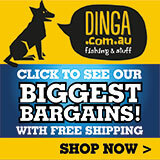 GetFishing.com.au markets and acts as an agent in promoting the prize on behalf of the Sponsor. The sponsor is the issuer of the prize. GetFishing.com.au will not be held liable for any and all loss, injuries, illnesses, damages, claims, liabilities and costs suffered by or in respect of a winner, caused in whole or in part by the Sponsor or its products and services. Sponsors will endeavor to post prizes within seven days (7 days) of the date on which the winner accepts the prize and provides their mailing address. We cannot, however, guarantee delivery of prizes by a specific date. Should the prize fail to be delivered within three weeks of the winner accepting the prize Get Fishing will supply the winner with the parcel tracking number and the winner shall pursue delivery thereafter. Replacement prizes cannot be guaranteed. Cash prizes will be wired to winners by bank transfer. 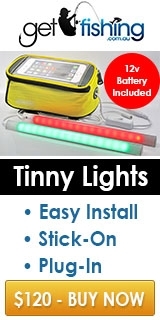 Cash prize winners are required to inform Get Fishing of their chosen bank details after being notified of their win. Failure to do so within 30 days will result in relinquishment of said cash prize. If you suspect foul play you may request a revision of the results within 12 hours after the end of the month. As a condition of entering and participating in our tournaments you agree to the terms and conditions of this website. Fishing is a dangerous sport and at no time should you put yourself at risk. Never let the adrenalin of tournament fishing overrule your senses or judgement. No fish or prize is worth risking your life. All contestants release from, and indemnify GetFishing.com.au, against all liability, cost, loss or expense arising out of acceptance of any prize(s) or participation in the tournaments including (but not limited to) loss of income, personal injury and damage to property and whether direct or consequential, foreseeable, due to some negligent act or omission or otherwise. 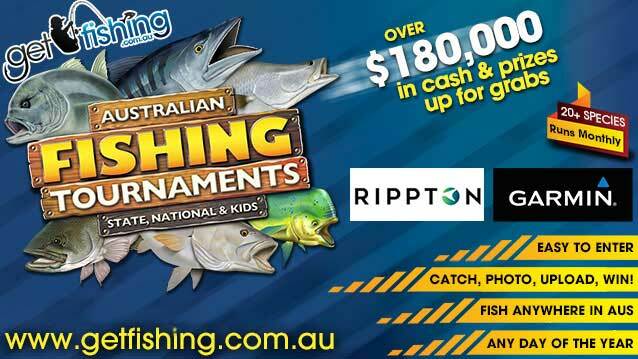 Furthermore, as condition of tournament entry GetFishing.com.au accepts no responsibility for any loss, damage, accident, death or injury resulting from participation in any of our tournaments. GetFishing.com.au reserves the right to amend the rules, terms and conditions of their tournaments at any time, or to suspend this or any competition, as it sees fit. GetFishing.com.au may also create rules that apply to a specific tournament only. If we do this we will publish the amended or specific tournament rules on the relevant competition page(s) of our website. Entry into this competition signifies acceptance of all conditions. Your entry indicates and attests to this. GetFishing.com.au’s decision will be final and cannot be contested. No correspondence will be entered into. GetFishing.com.au reserves the right to limit entry or amend rules if considered necessary without notice. GetFishing.com.au reserves the right, in its sole discretion, to disqualify any entrant that does not comply with any of the above, even after their entry is submitted. 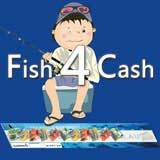 These Online Fishing Tournaments are being run by Get Fishing, PO Box 1170, Hillarys, WA, 6923.